Love your layout - love the colors and the layers! Very fun layout. Love that collection. This is a great page Mary Ann!! 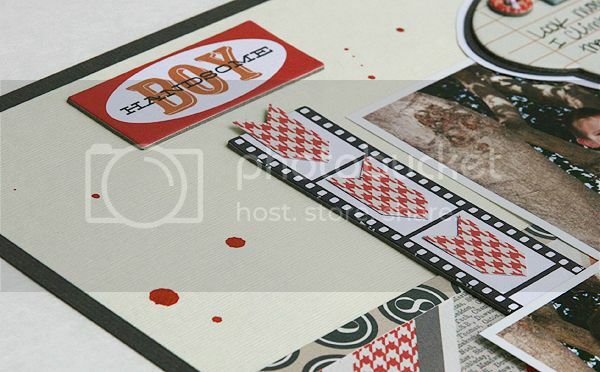 Love the little photo strip element you used and that great patterned paper! I love how you used the speech bubble!